Ag Arm is a sophisticated and stylish display mounting system for LCD monitors up to 30”. 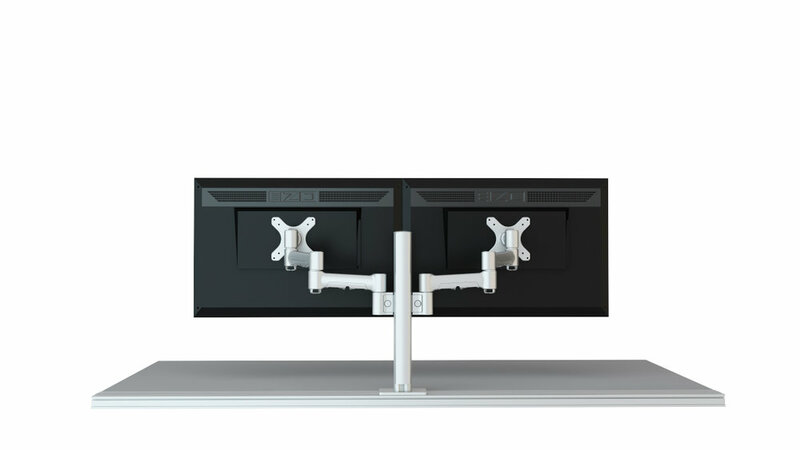 Designed for integration atop all Innovant furniture products, Ag Arm can also be intelligently specified to prevent collisions with adjacent monitor arms and privacy panels on adjustable height desks. Ag Arm’s modular parts enable the creation of a broad array of mounting solutions with independent height adjustment for each arm. From one to eight monitor arrangements, Ag Arm provides virtually endless display configurations for a truly tailored experience. Mix and match parts to easily create, reconfigure and upgrade or downgrade a mounting configuration. 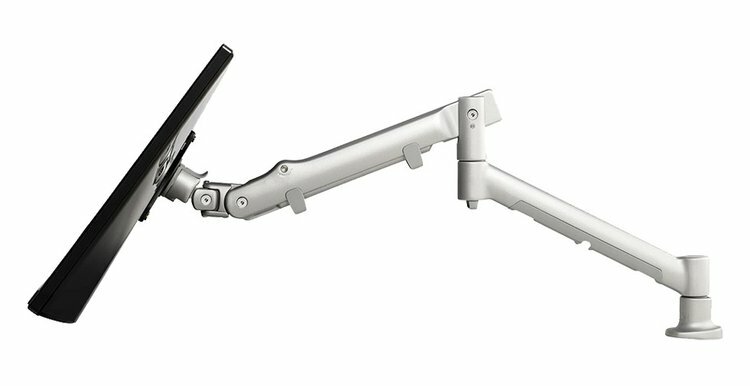 Ag Arm posts have 4 universal channels for cable management and accommodating monitor arms that can slide up or down within the channels. 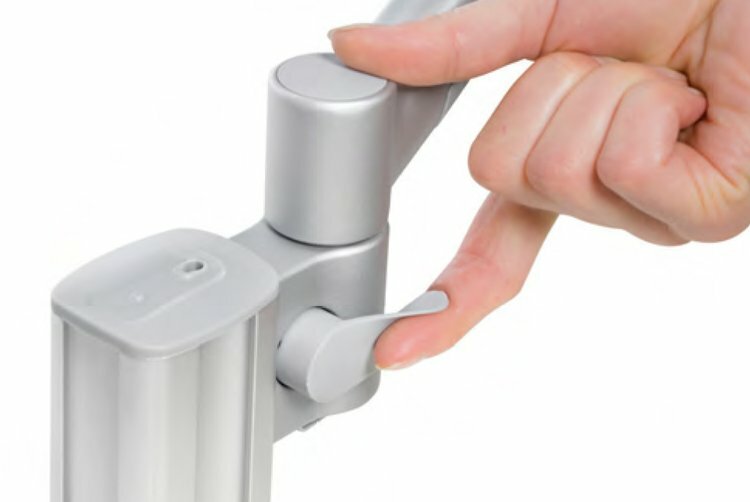 A simple lever quickly locks Ag Arm's No Link, Short Link, Long Link or Spring Arms into place. 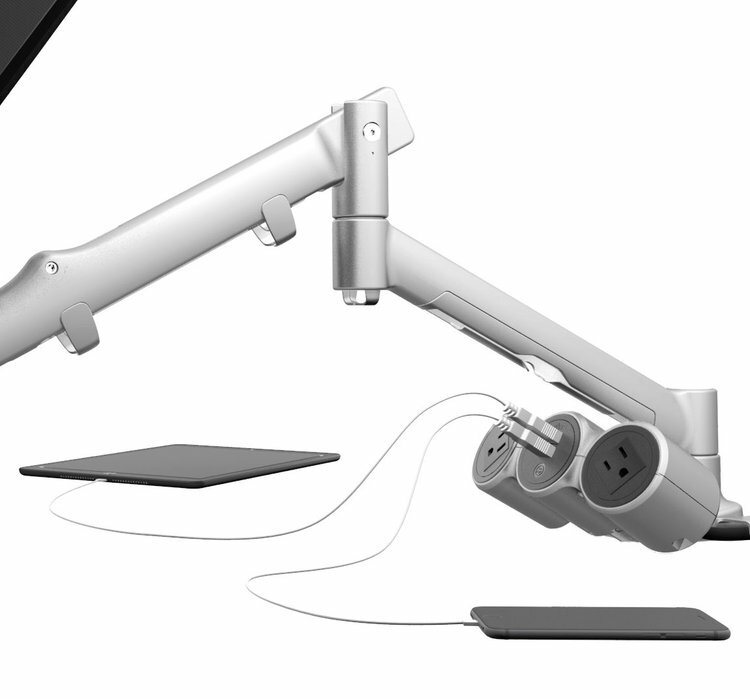 Ag's dynamic Spring Arm enables effortless adjustment from a seated position, making this arm the most ergonomic choice. 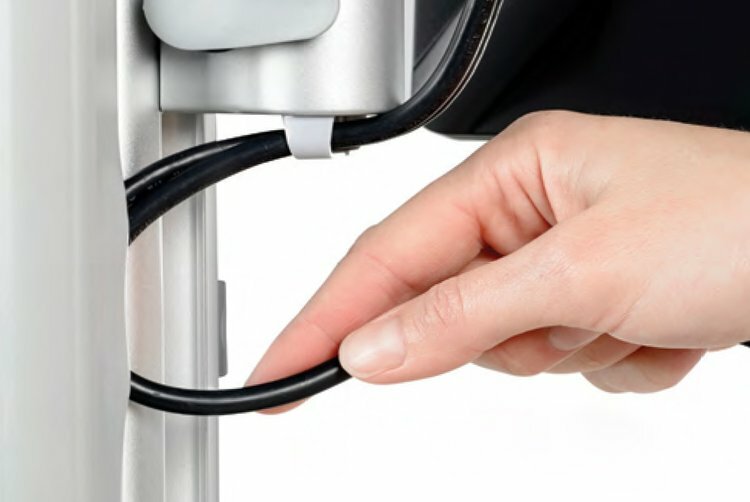 The VESA plate also features a quick release mechanism for rapid installation. A Future-Proof Product: Technology is rapidly evolving and Innovant’s Ag Arm ensures that investments made today will continue to benefit users in the future. The ability to utilize Ag Arm’s interchangeable parts to adapt and upgrade mounting arrangements is an integral benefit of the product. At any time, users can choose from Innovant’s list of recommended configurations or select from Ag Arm’s various posts, arms and accessories to create or modify a workspace display. 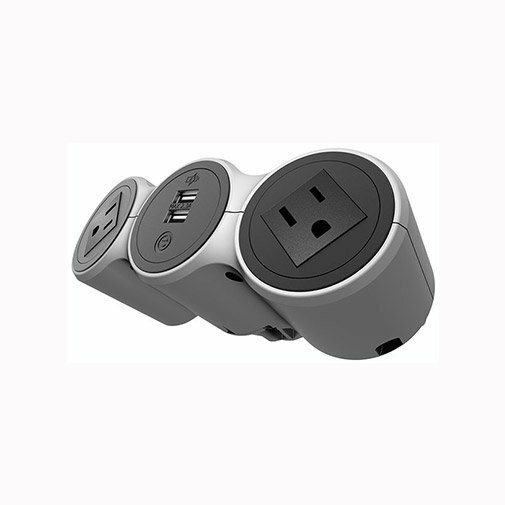 Ag Arm can be integrated with a Power Center that brings the latest USB charging technologies to Innovant's desktop. Offering fast, safe and reliable charging, the Power Center provides easy access to 4 charging ports (2 power sockets and 2 USB fast charging ports). 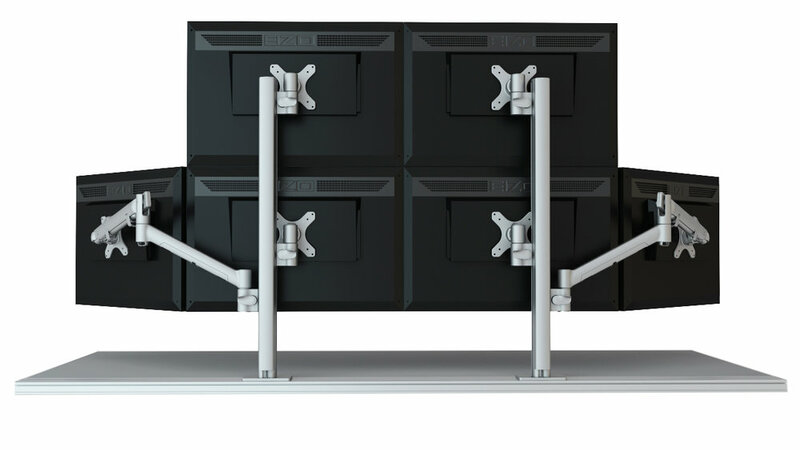 The Power Center complements Innovant’s range of ergonomic and space saving display mounts. Designed to last, this commercial grade accessory seamlessly integrates with Innovant’s Ag Arm desk mounts. With intelligent device recognition (IDR) technology, the Power Center charges four times faster than a standard PC USB port and supports any mobile device - irrespective of brand or model.